This one is coming to you a little late in the day… but on this edition of ‘STMMS’ I’m going to share a cheap and easy favorite for home cocktails. It may seem a little silly or even obsessive to pay attention to something seemingly insignificant like your ice cubes, BUT these little cubes rock. The silicone tray make them super easy to pop cubes out and to clean (dishwasher safe). The best part though? 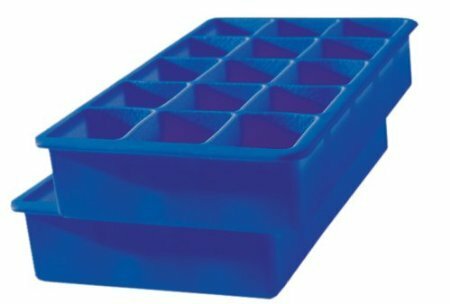 Because they freeze larger than normal cubes they keep your cocktails chilled longer and it takes longer for the ice to melt. A less diluted cocktail is better one if you ask me!